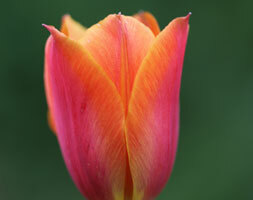 This delicious tulip has vibrant orange-red flowers that will really glow, especially when the early morning or late afternoon sun catches them. Perhaps one of the nicest things about it though is its delicious, rose-like scent. Plant with rich reds and yellows and create a blaze of colour.